This is the 3 min. 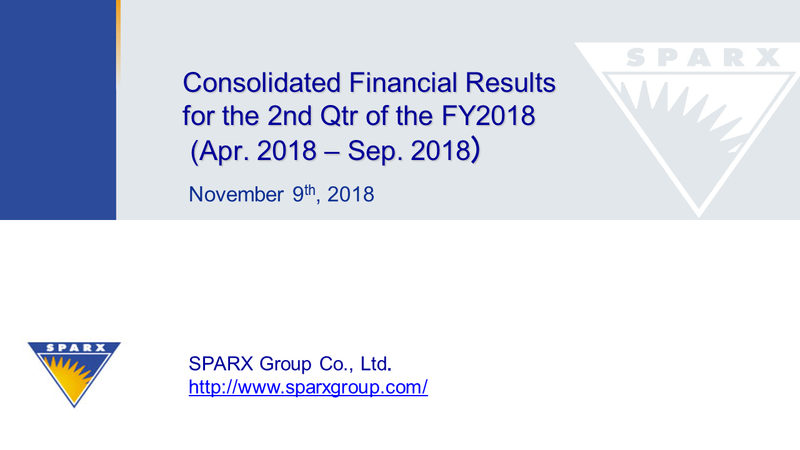 video of SPARX Group FY 2017 Earnings. FY 2017, its operating profit doubled and operating profit margin reached 50 %. SPARX tries its best for the continuous growth and increases AUM. 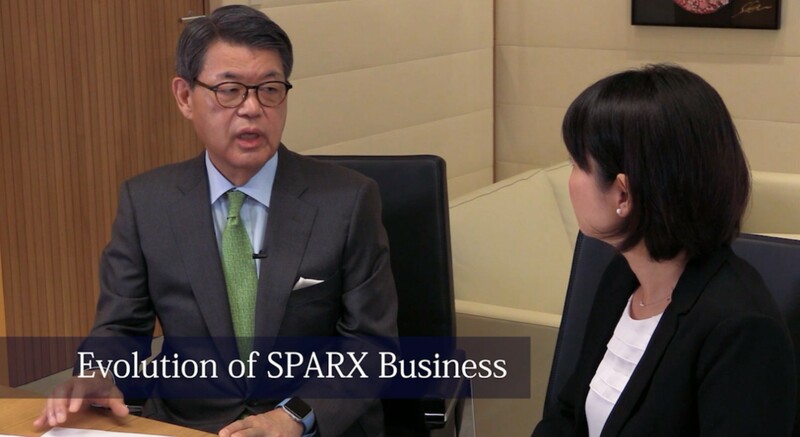 In the earnings of FY 2017, SPARX has reached its seventh level of its recovery, or three levels from its past peak. First, operating profit is 6.6 billion yen compared to our peak. The second indicator is the dividend per share will be seven yen per share compared to the peak's ten yen per share. 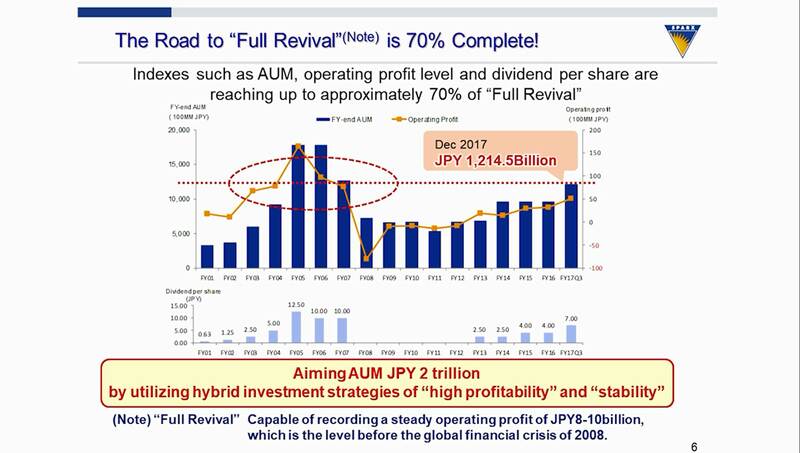 And, lastly, if it compares the average of AUM for the year figures, the March 2007's average AUM was 1.8 trillion yen. This year, the figure is 1.1 trillion yen, or a little less than 70%. Based on these indicators, SPARX is at 70% of our immediate goal. 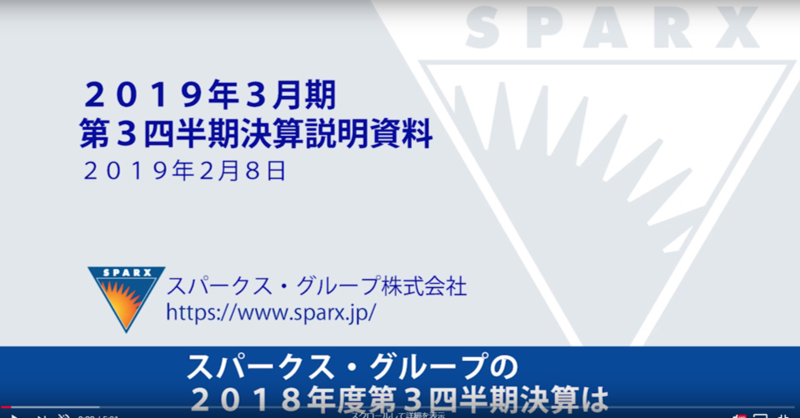 SPARX has developed a business model that is supported by four (4) pillars - Japanese equities, Asian equities, Real assets, which is primarily comprised of renewable energy power plants, and Mirai Creation. This model is effectively working. With this business model, we can see that in a normal environment, SPARX earnings power gets quite strong. Understanding the performance of an investment company is simple: it is management fee multiplied by AUM. However, SPARX also offers funds that earn a performance fee. Therefore, if SPARX does well, earnings will experience a boost. 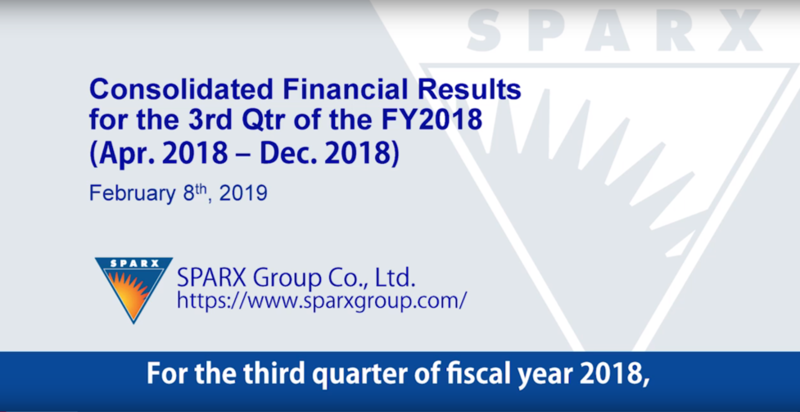 In the FY 2017, in addition to our management fee, SPARX earned 4.4 billion in performance fees where 3.4 billion was generated by our equities business and one billion from real assets. While 4.4 billion yen seems to be a large number, I believe that it is sustainable over the coming years given a normal environment. 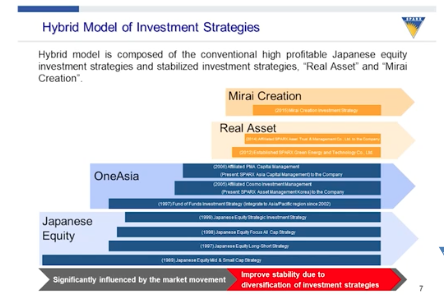 In order to achieve this profit level, our AUM will need to increase to 1.8 trillion yen. I will try my best to achieve this goal within two-years (2) time. SPARX FY2017 Q3: Operating Profit more than doubled due to equity and renewable investment biz.